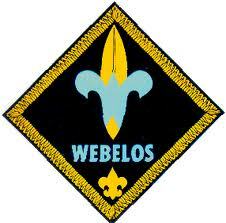 Just a quick reminder that we have a group of Webelos Scouts coming to visit our troop this week that may be interested in joining Troop 35. We have some activities planned for them. I’m sure you all realize the how important the “next generation” of Scouts is in keeping Troop 35 strong. We really need to have a good showing of our Scouts at this meeting to help out, get to know these guys, and show them what we’re all about.